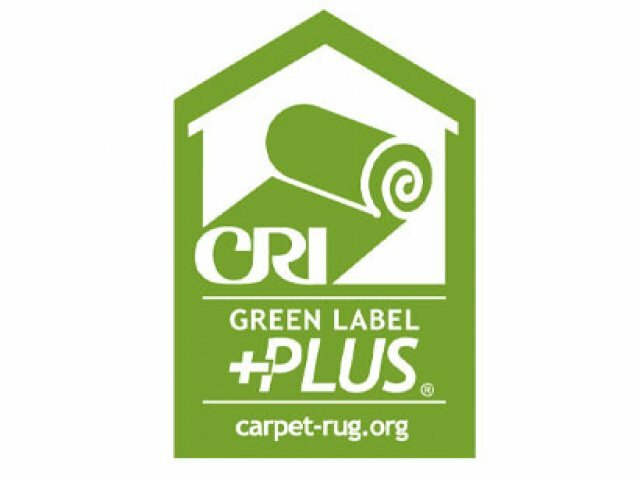 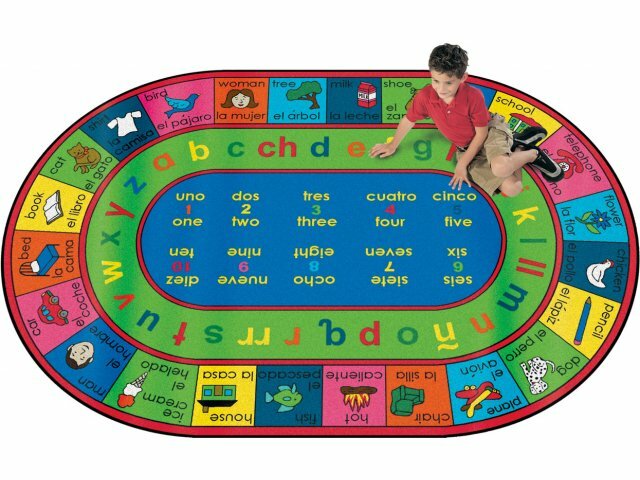 LenguaLink Oval Carpet in Spanish 7'8"x10'9"
Introduce children to a second langauge with this exciting bilingual LenguaLink Carpet. 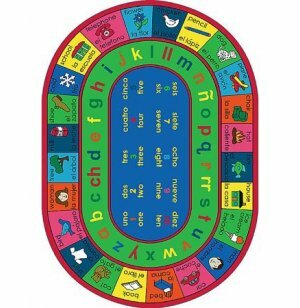 Familiar pictures with both Spanish and English words surround the rug, while children can learn to spell and count with the Spanish alphabet and number lines. 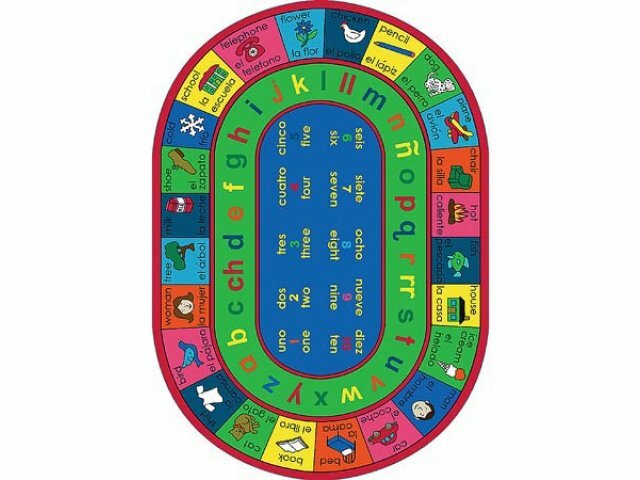 Also available in a French version.